I’ll never forget the first video gaming console I used: the Game Boy Color. It was colorful, portable, and the games were engaging. How did the Game Boy become so successful? It’s simple: Nintendo was able to make the product marketable to the masses. Game developers might have a genius idea, but creating a successful video game or gaming console is hard work. 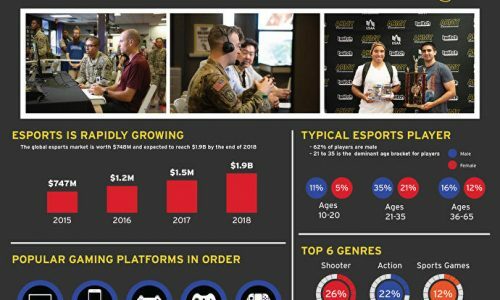 If you have a video game you want the world to know about, you should look at today’s infographic on how to make your project successful. Making a trailer to advertise your video game is essential. It will give fans a taste of what is in the works, and they’ll know whether or not they’ll find it appealing. They get a preview of characters, storylines, and the game play. Don’t give too much away –– you want to leave the consumer wanting more. Along with a trailer, you should make a website dedicated to your game. On your website, you can give a description, screenshots, trailer and much more. An online marketing campaign can get consumers enticed without spoiling the plot of the game. I hope you can use these tips to come up with the next big title in the video game industry. Always remember that marketing is key. Who knows? Maybe you have an idea for the next big thing! Need some inspiration? Check out the evolution of video games to get those creative juices flowing.